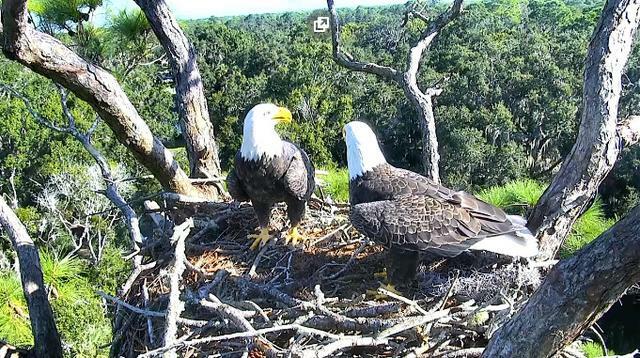 WELCOME HOME, ROMEO & JULIET! 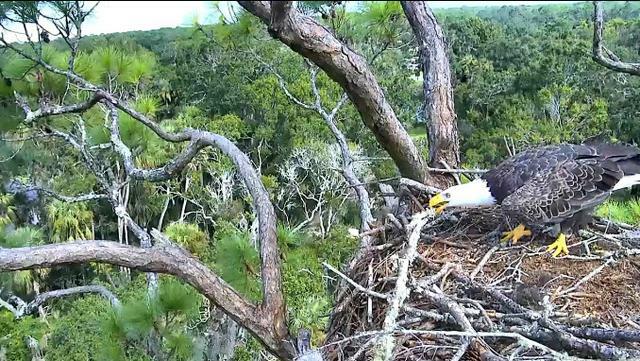 Romeo arrived at the nest on Aug 27 and Juliet arrived on Sept 1. 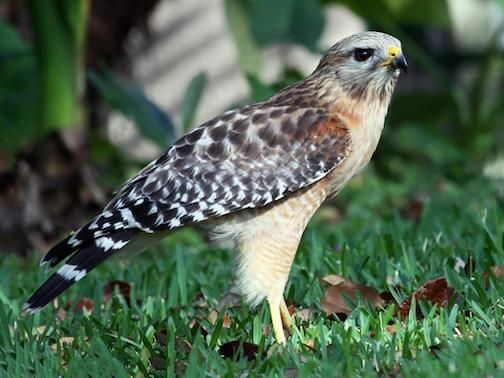 Loza. 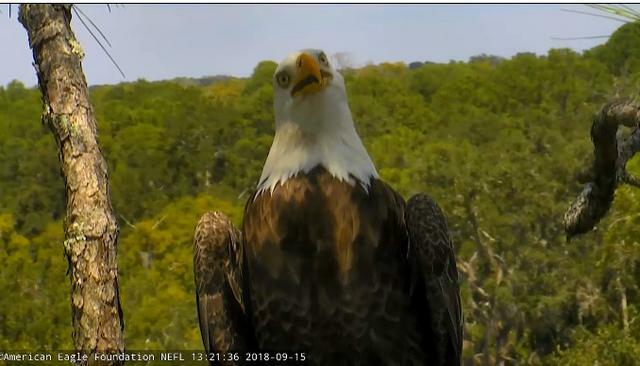 You beat me to it...lol. 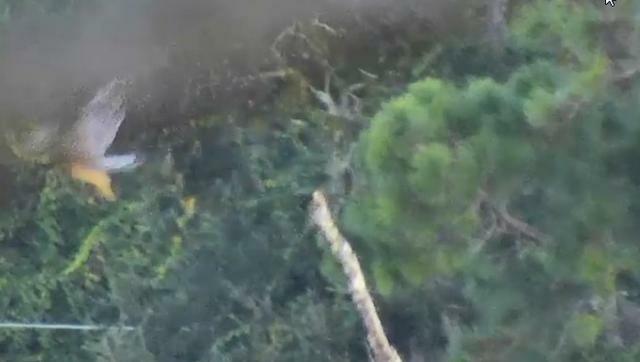 They have already brought in some sticks. 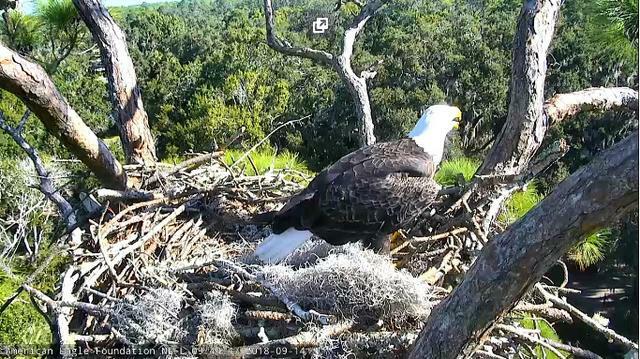 I am looking forward to another nesting season here. 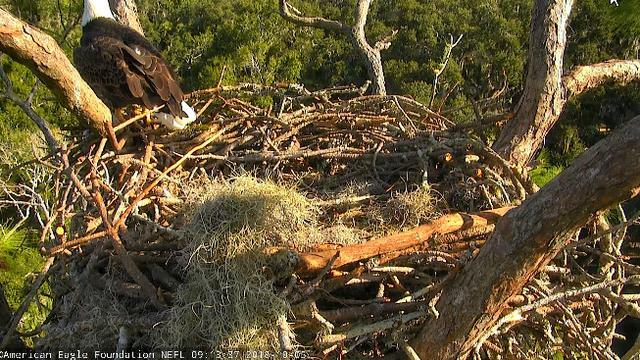 I love this nest.
" 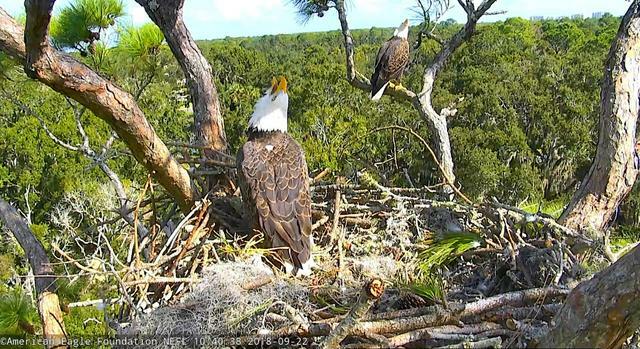 jd_AEF (Moderator): Now we have a pair of RSH's at the snag tree!" 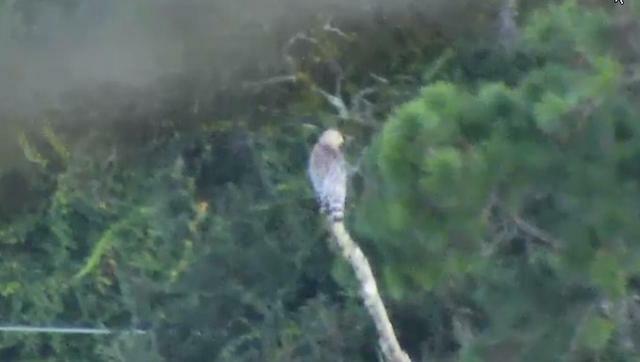 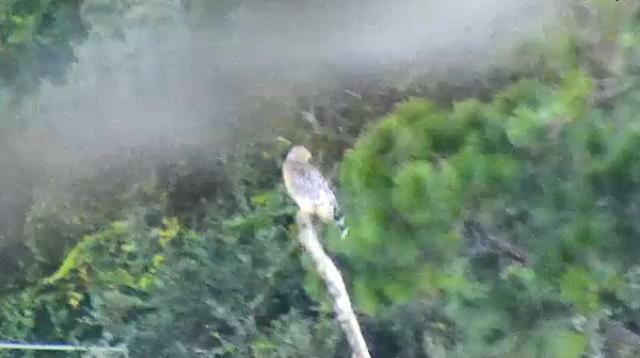 Loza, Toward the end of last season, a pair of red-shouldered hawks nested nearby. 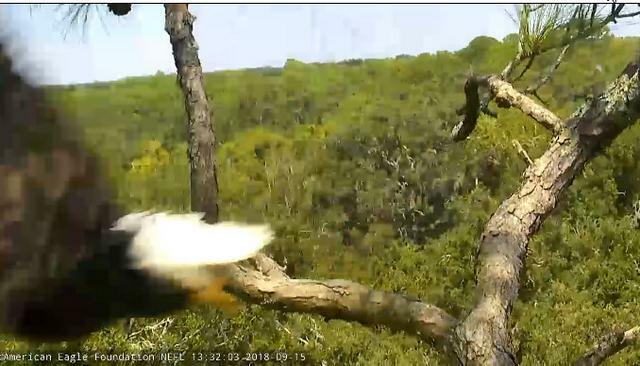 Here is a video of one of the RSH adults swooping at Juliet when she was in her own nest on 5/1/18. 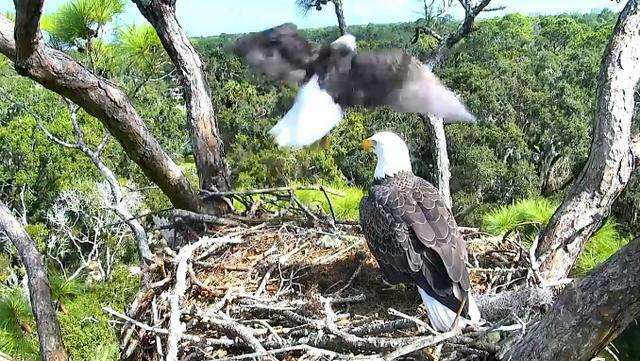 By then Sky and Spirit had already dispersed and Romeo and Juliet were close to leaving themselves. 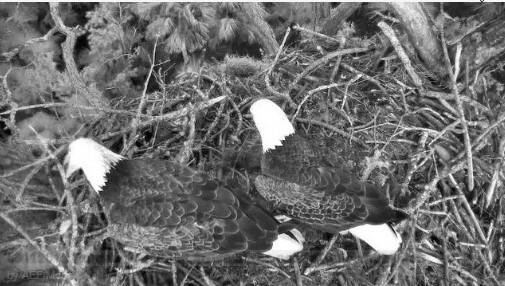 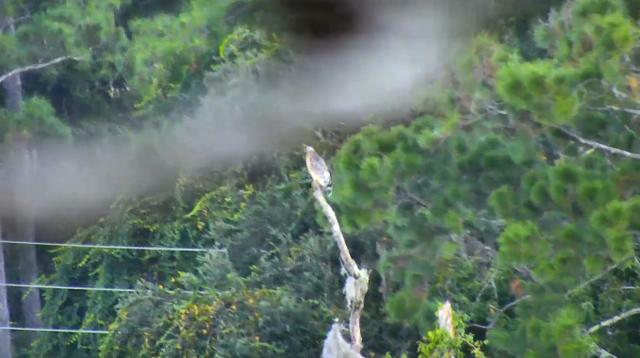 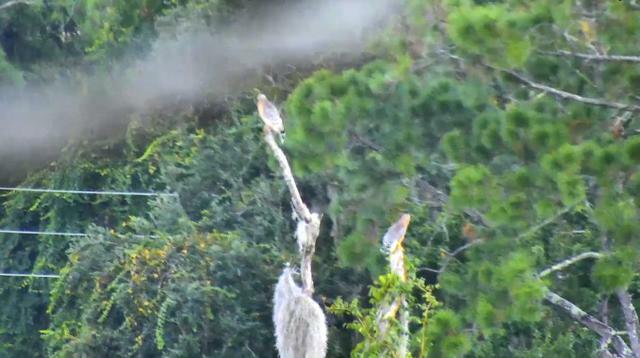 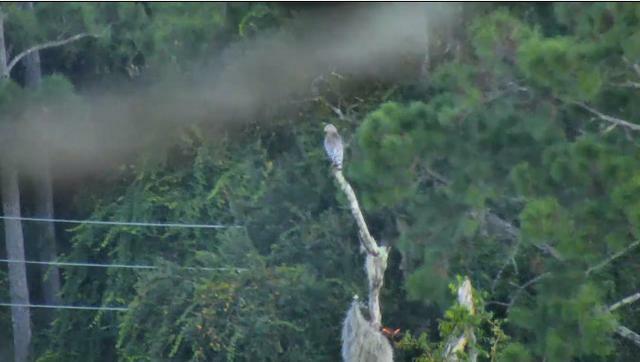 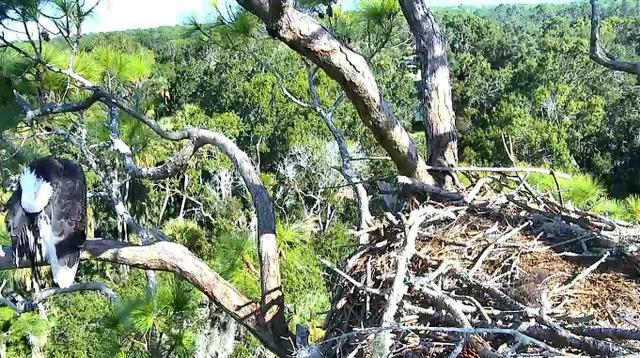 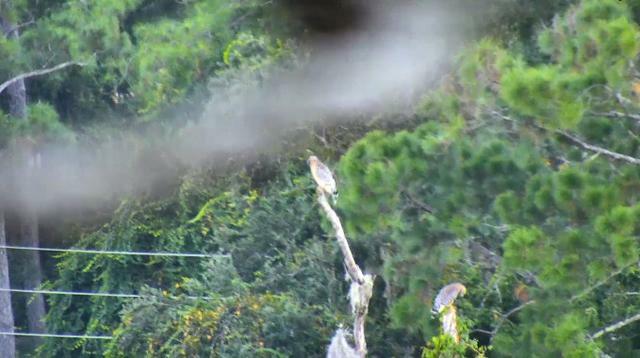 The American Eagle Foundation located the hawk nest and trained the cams on it. 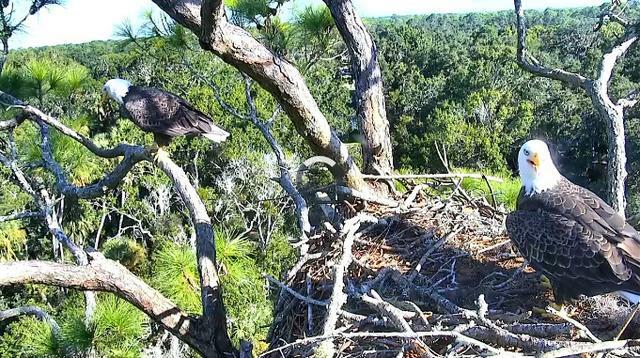 The hawks successfully had 2 babies that fledged. 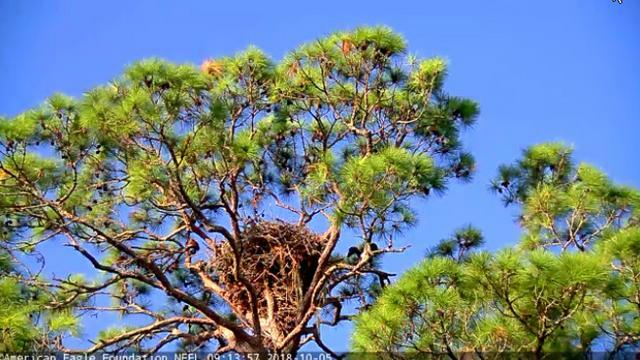 Here's a video of the baby hawks in their nest on 5/18/18 . 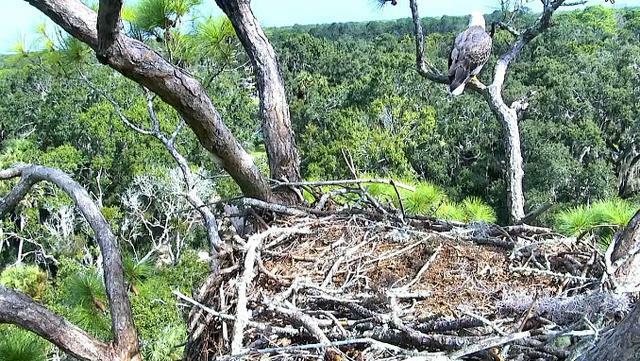 Thankfully, the hawks nested during the tail end of the eagles' nesting season and the eaglets were already quite big. 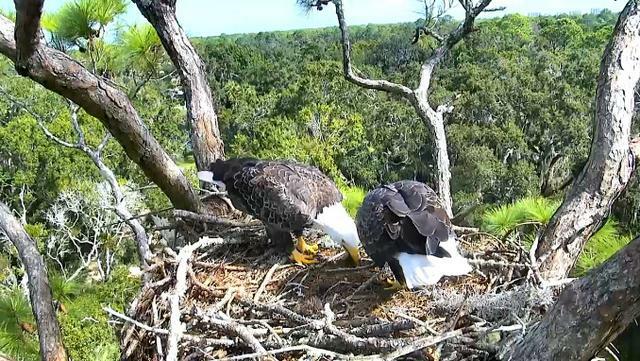 I doubt that Romeo and Juliet will tolerate the RSH's once eggs are laid. 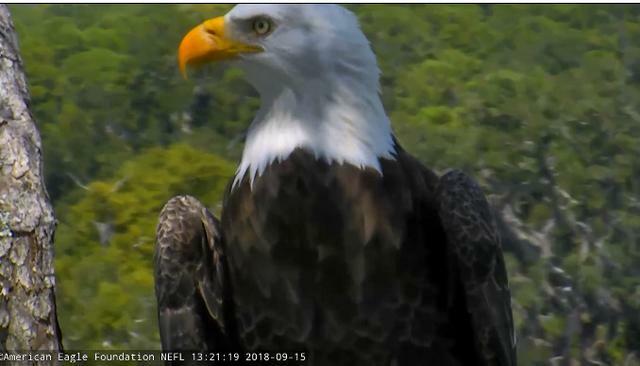 Videos courtesy of the American Eagle Foundation 2018. 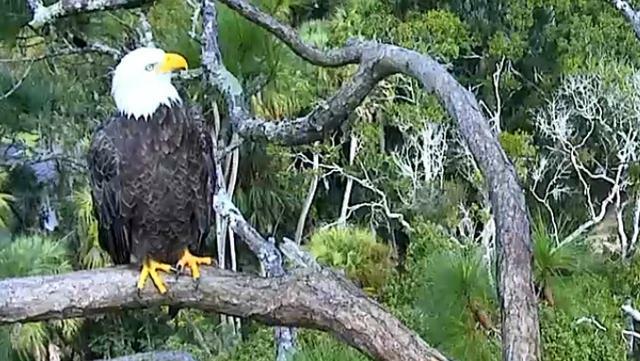 Short video from this morning as seen on cam 2. 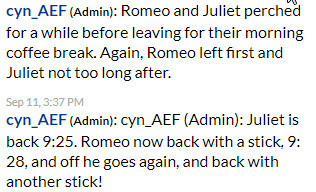 Romeo gets his stick, enjoy! 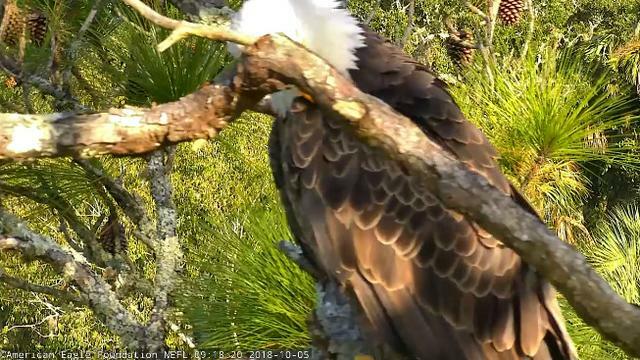 Romeo goes deep within the nest tree to get his stick! 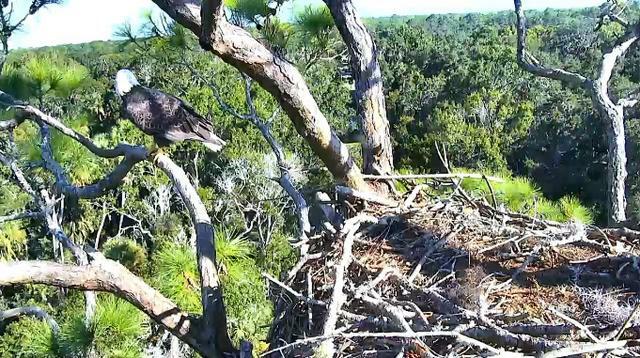 Romeo at the foot of Juliet. 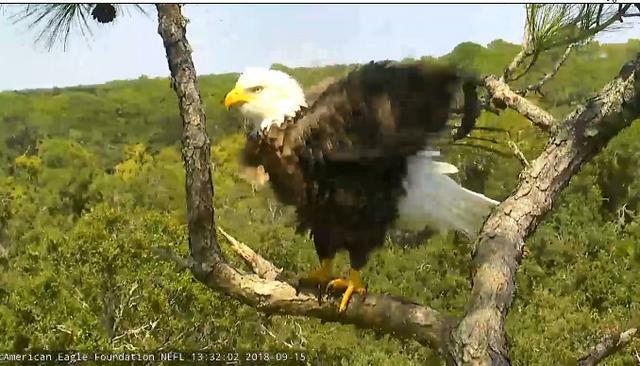 She came down when He was on a branch. 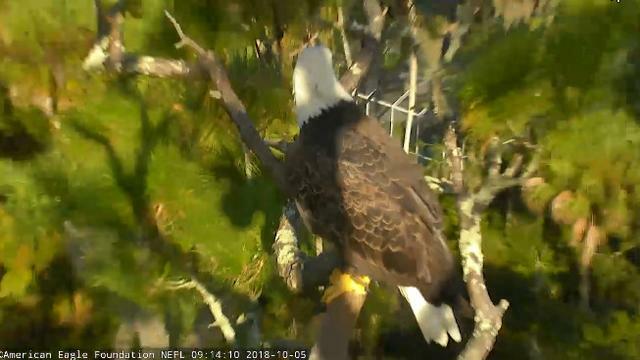 Intruder circled in the sky. 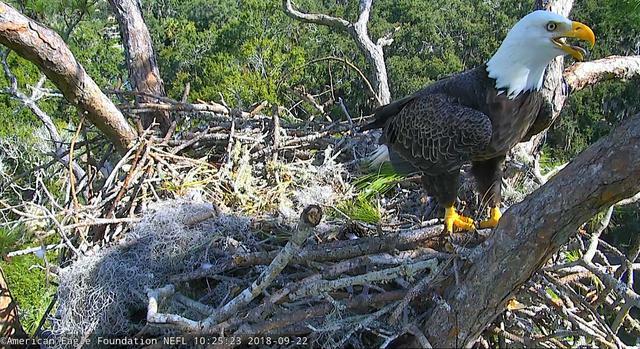 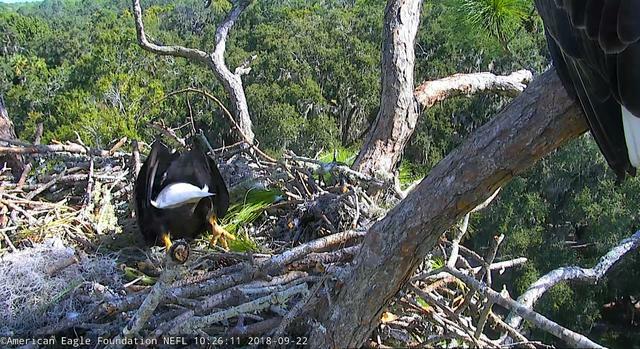 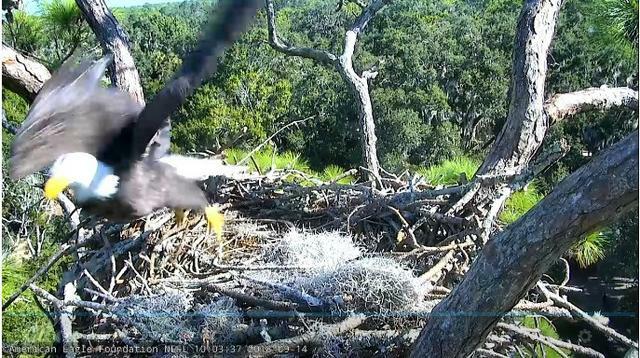 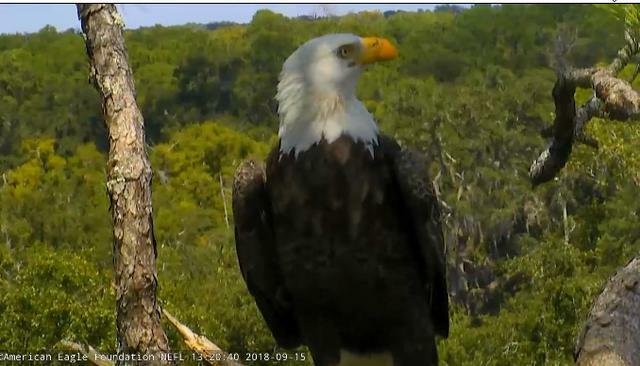 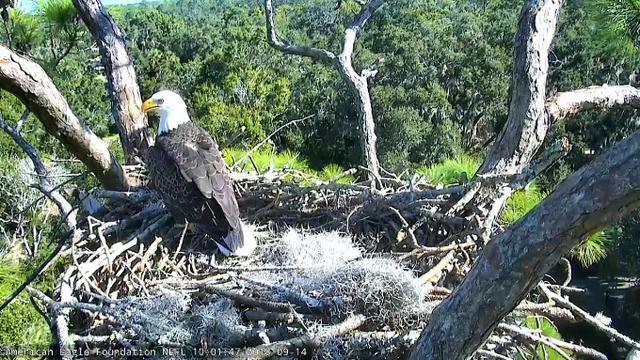 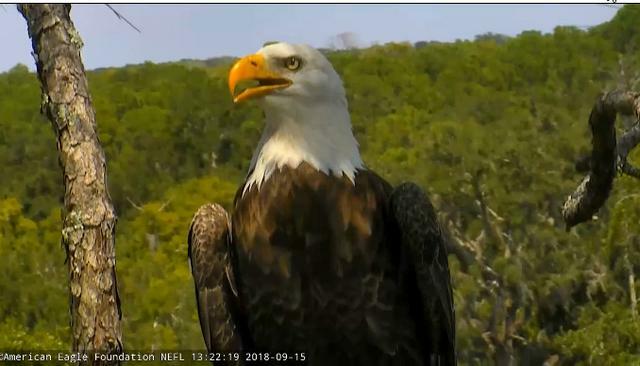 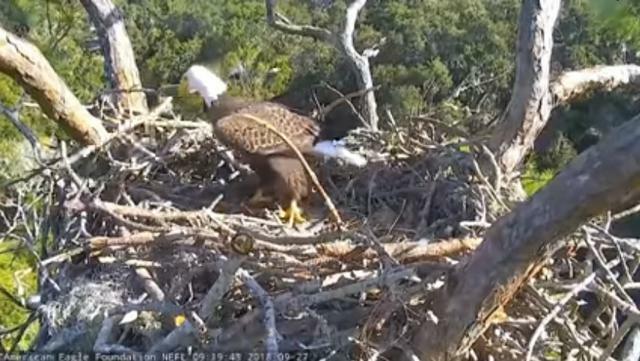 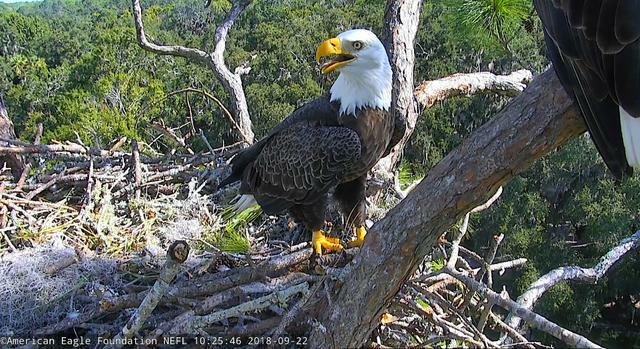 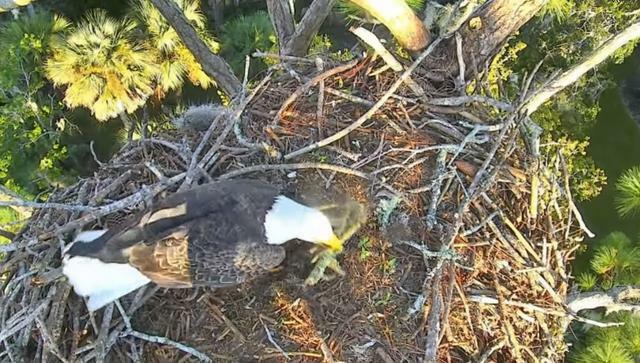 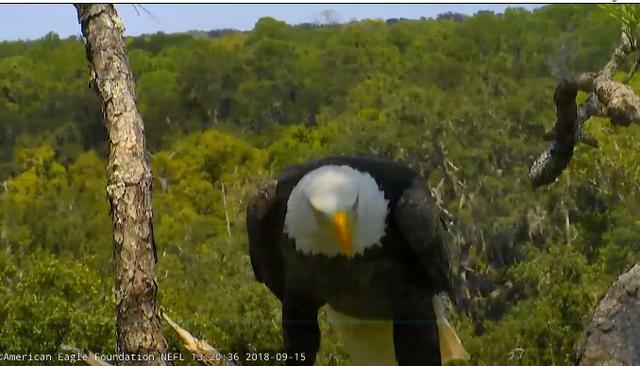 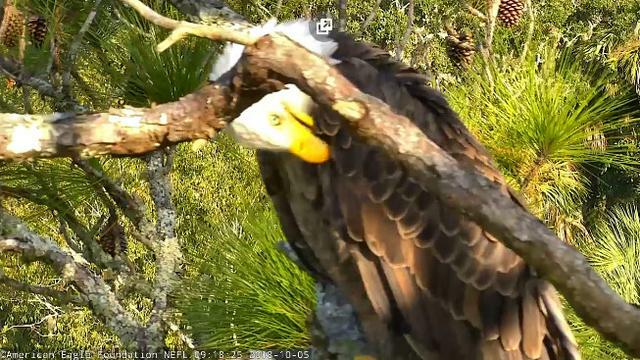 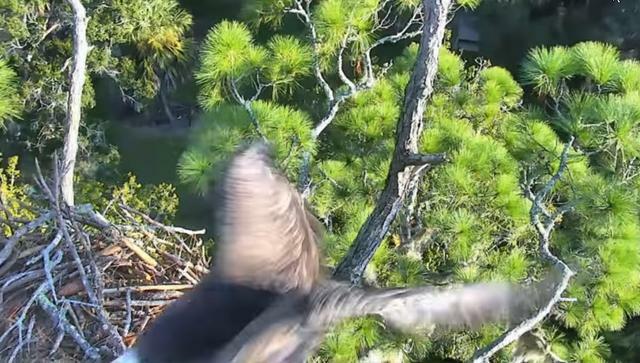 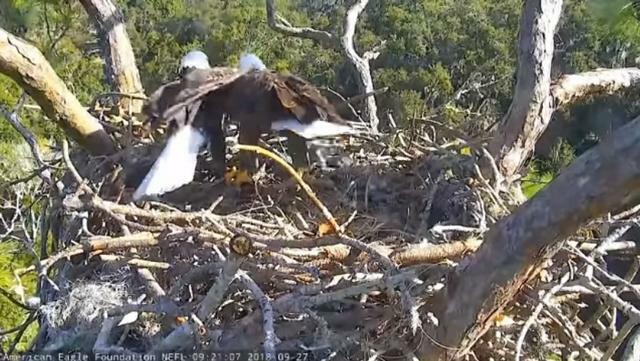 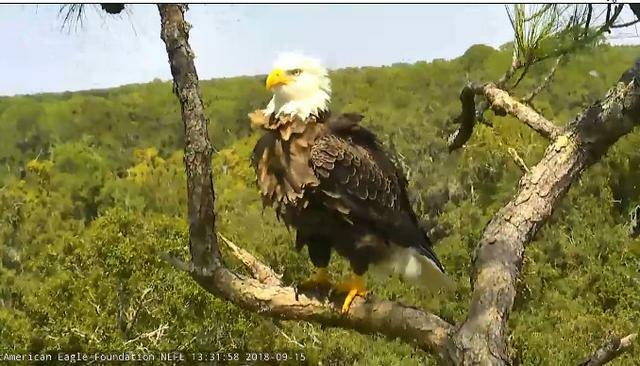 AEF NEFL Eagle Cam 9-27-18: Need Help, Honey? 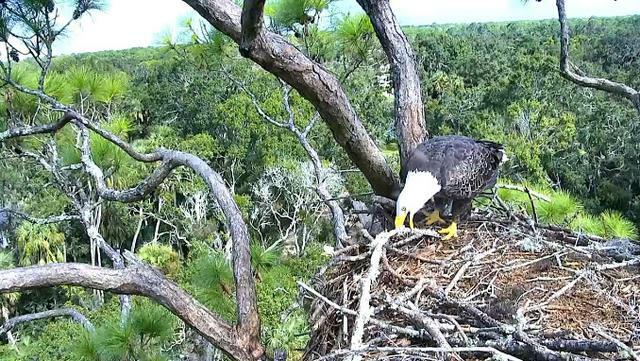 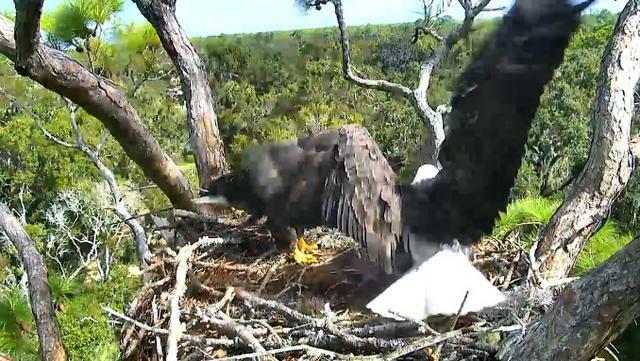 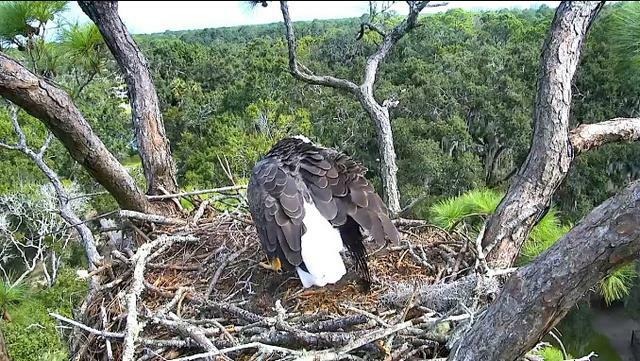 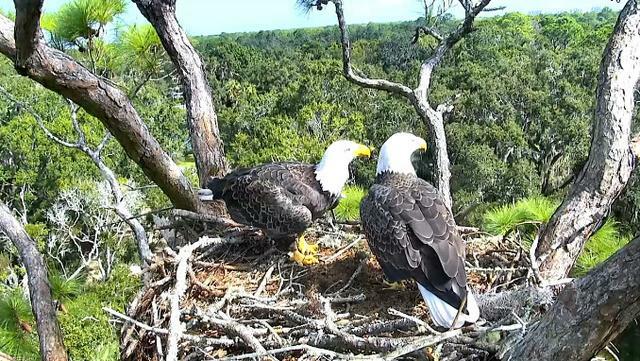 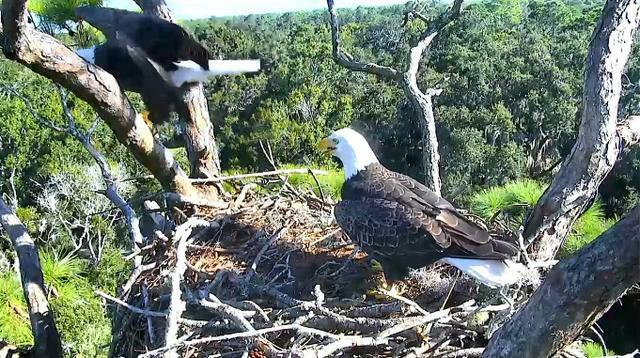 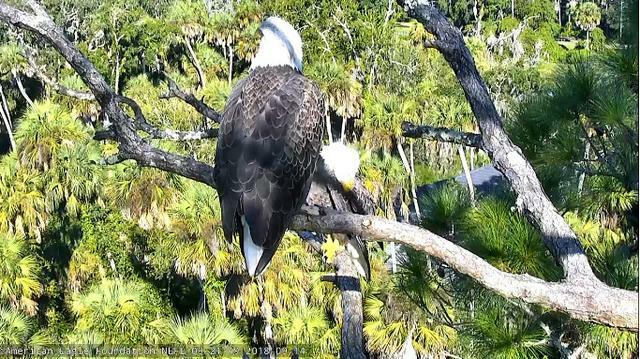 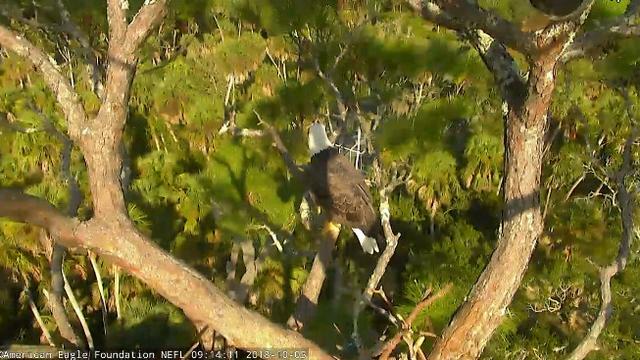 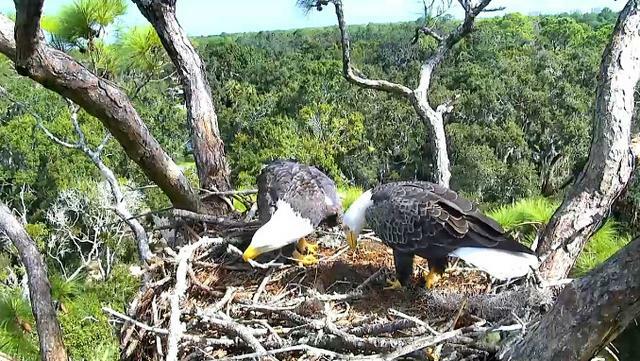 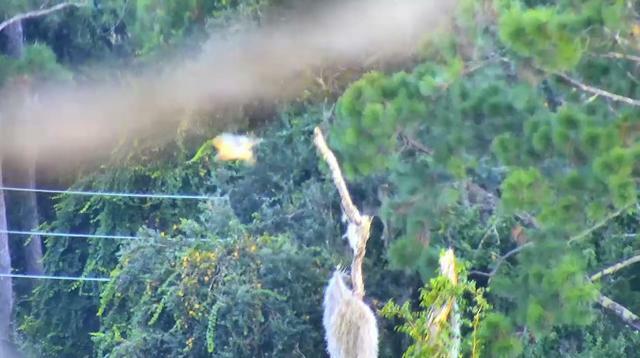 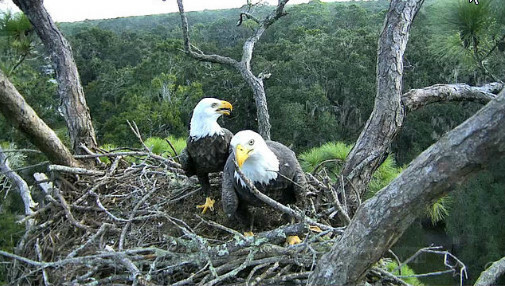 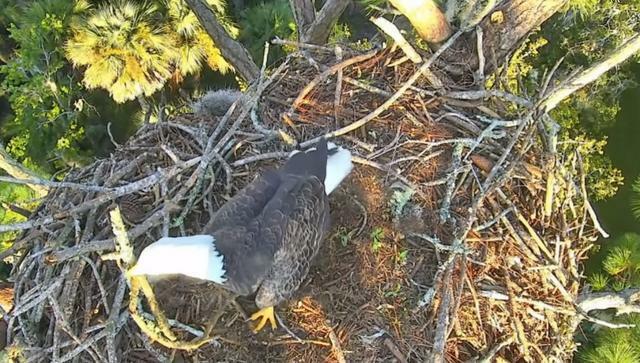 From the NEFL nest of Bald Eagles Romeo & Juliet, fall nestorations are proceeding at full speed. 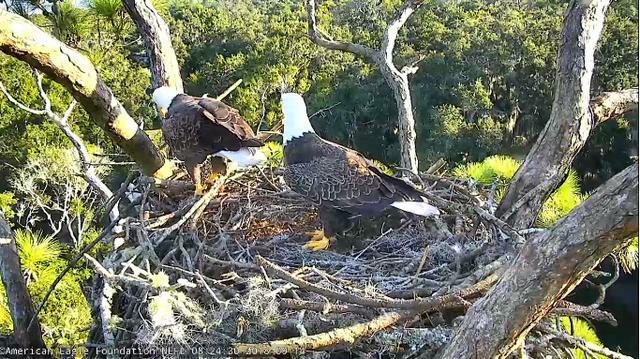 Sometimes, the branches brought in by the eagles require a second beak to place them properly! 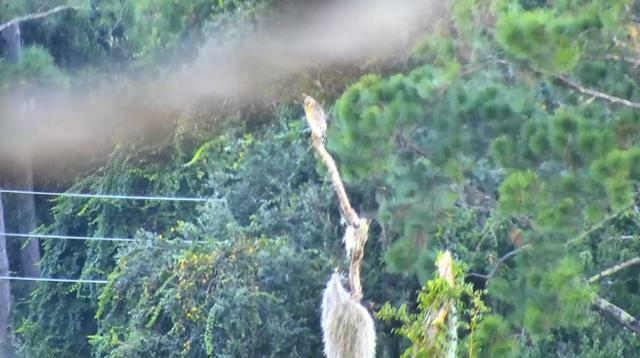 In this instance, Romeo flies in with a stick - it gives him trouble, so Juliet comes down to help him out.